We are going into the city to celebrate my Mom’s 65th birthday this weekend, so we won’t be having our usual indulgent Easter brunch…we’ll be enjoying an indulgent dinner! But I did ask the kids what I could make for Easter breakfast after church. 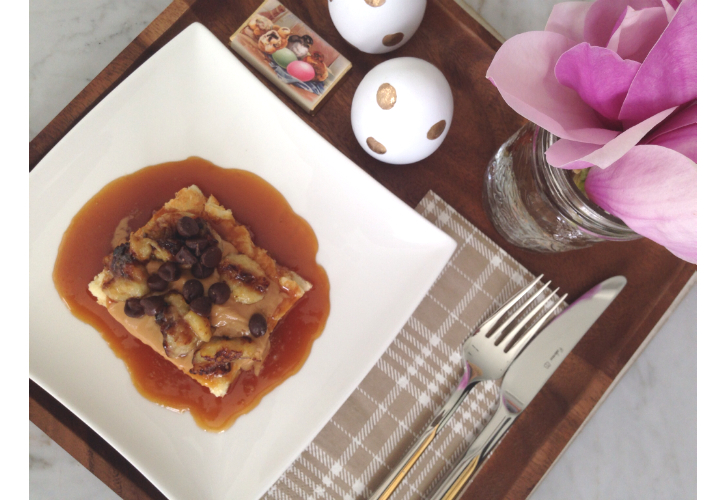 It was unanimous…German Pancake! 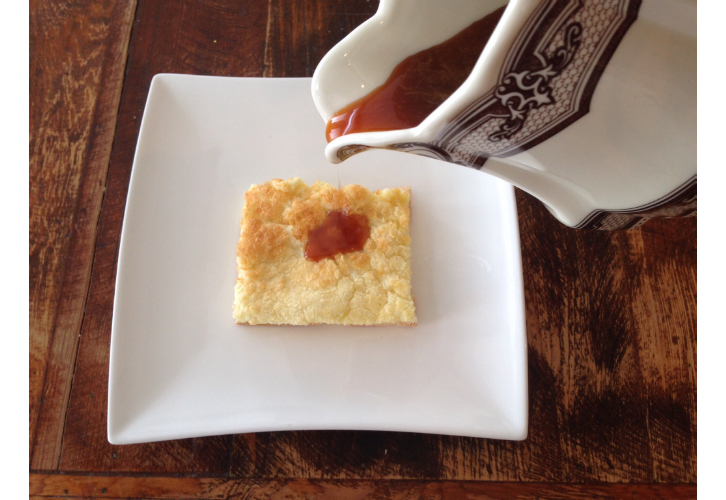 It is one of their all time faves…I’ve posted about it before here… and it really is SOOO simple! Oh, and you HAVE to make the buttermilk syrup to go along with it!! It really makes the dish and leftovers are sooo yummy over ice cream. You can find the recipe here. Ok, but it’s Easter, so I want to make this dish a little bit more special. I was inspired by a pancake concoction called Bananas Presley that I had at The Good Egg in Scottsdale…ok, this dish is not for the faint of heart and forget about it if you are watching carbs. But if you like peanut butter, chocolate and bananas…all I can say is WOW!!!! Basically dessert for breakfast with the best combo of familiar flavors ever!!! So, for a special occasion, I say go for it! 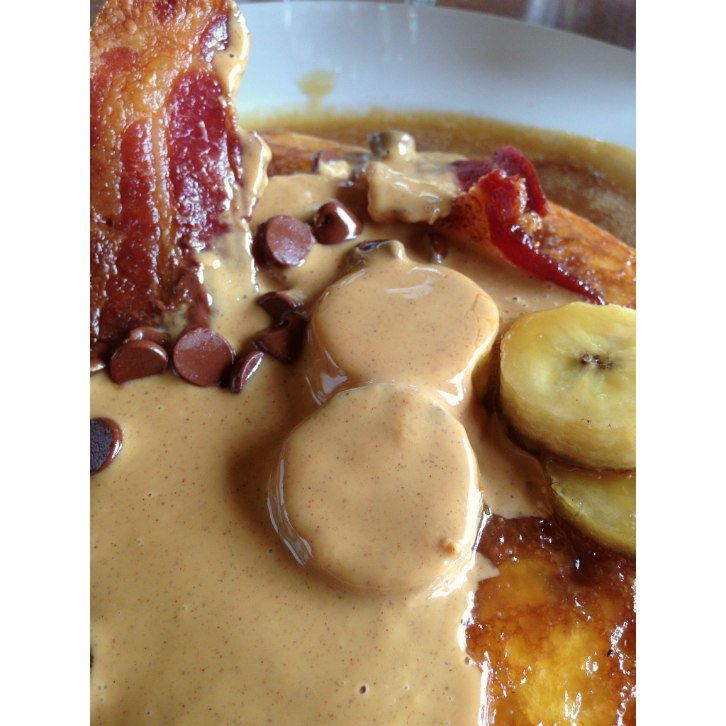 Bananas Presley at The Good Egg….Yum!!! So, I’ve calmed it down a bit with my version. Here’s what I did!!! 1. Make the buttermilk syrup. Be sure to use a MUCH larger pot than you think you need. If this baby boils over, it’s nasty to clean up! 2. Make the German pancake. 3. While the pancake is baking, saute sliced up banana in a bit of butter or olive oil. Cut the banana pieces a bit thick as they get too mushy if they are thin. Heat the butter or olive oil up in a nonstick frying pan and sauteed about 3 minutes on each side. 4. Cut up the German pancake into about 12 equal size pieces. Pour some buttermilk syrup over each individual piece. 5. 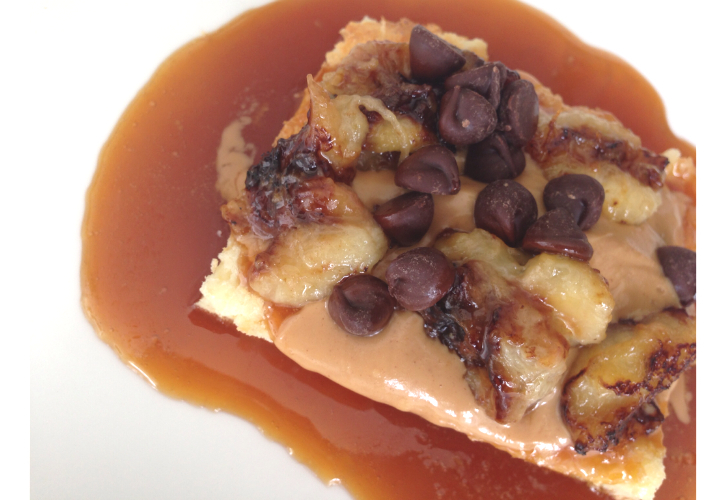 Top with a tablespoon of smooth peanut butter, some of the sauteed bananas and about a tablespoon of chocolate chips! Make sure to add all of the toppings while the pancake and syrup are still warm. The peanut butter melts and so do the chocolate chips! Seriously decadent! You could add bacon pieces as well…the version at The Good Egg had bacon, but I decided to pass as this is super rich!!! 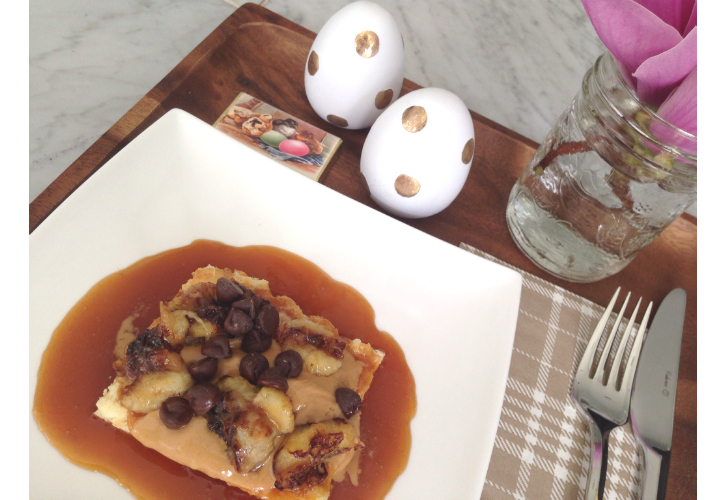 Heck, this could be dessert for your Easter gathering!